His portrait hangs in the hallway of Trevecca’s McClurkan Building, at home in the line of leaders who have stood at the helm of the University. As president of the then-Trevecca Nazarene College, Dr. Homer Adams and his wife, Beatrice, guided the University through a number of accomplishments throughout his tenure (1979-1991), from the establishment of a graduate program in education and the creation of one of the first degree-completion programs designed for working adults to the construction of the Jernigan Student Center. But for Adams, Trevecca’s only living president emeritus, his true legacy isn’t about construction projects or degree programs. It’s about changed lives. It’s a legacy he continues to live out. Now in his 90s, Adams is still a prolific writer, encouraging through books and letters. He and Bea are faithful supporters of Trevecca. In many ways, the Adams’ story is woven into the greater Trevecca story. Try as you might, but you can’t separate one from the other. Adams first came to Trevecca as a high school student. He arrived on campus in 1939, a fresh-faced 18-year-old high schooler. After graduating from Trevecca’s high school, he enrolled in the college, taking a few years away to serve out the final years of World War II with the U.S. Navy. Upon his return, Adams completed his undergraduate degree and began working on a master’s degree in education at Peabody College for Teachers in 1948. In 1951, Adams became the first Trevecca alumnus to earn a doctorate when he graduated from Peabody College with a Ph.D. in history. Throughout all that time—while he was working on his master’s and completing his Ph.D.—Adams was teaching and eventually serving as the principal of the high school. 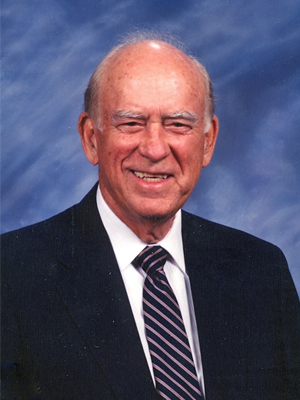 He joined the Trevecca Nazarene College faculty as a history professor in 1954. After more than a decade on the Trevecca faculty, Adams moved on to other institutions. First, he served a year on the faculty of Middle Tennessee State College (now University) in Murfreesboro, Tenn. Later, he became the academic dean—and eventually vice president—of the central campus of DeKalb College outside Atlanta. During that time, he also served as a member of the Trevecca Board of Trustees. In 1979, he became the first Trevecca alumnus to be named president of the University. But if you ask Adams, the Adams family Trevecca story goes back a little further than all that. It begins in 1913, when his parents enrolled at Trevecca. Even after their retirement, the Adams have remained active members of the Trevecca community. 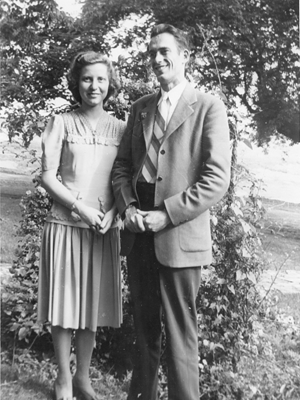 While health concerns have kept them away from participating in campus events as much as they’d like in these later years, Adams and Bea still visit campus occasionally. Regardless, the University is never far from their hearts. The couple has given faithfully to Trevecca for more than 20 years, through their endowed scholarship, Homer and Bea Adams Scholarship, and other gifts. It’s an expression of love for the Adams. When a friend or family member passes away, the Adams have a practice of donating $100 to the University in lieu of flowers. The money helps to fund the scholarship, which was created on the tenth anniversary of Adams’ presidency. Students have been benefitting from the scholarship for about 20 years. Since the 2014-2015 academic year, 21 students have been awarded the scholarship, totaling $31,775. Back in the 1980s while serving as president of the University, Adams felt called to tithe on the value of the housing and utilities he received. For more than a decade, the couple invested that money into the scholarship fund. “For 12 years, we paid the tithe into the school, which gave the scholarship a good start,” Adams says. The scholarship is a way for the Adams to continue to be involved in the lives of students and help them write their own Trevecca stories. Each year the couple receives letters from the recipients, and they read each one carefully. The Adams’ faithfulness to give to the University and support Trevecca students hasn’t gone unnoticed. The Office of External Relations recently announced the creation of a new giving society that will honor donors who give faithfully. It wasn’t a hard decision to name the society in honor of the Adams family. The Adams League of Loyal Donors acknowledges donors who include Trevecca every year as part of their charitable giving. To become a member, donors must make a gift to the University for five or more consecutive years. For Cooning, the new society is a way to honor faithful donors whose consistent gifts make scholarships and other projects possible. Small gifts make a big difference, she says.